Four months after Steve Biko was beaten to death in police custody in 1977, fellow activist, academic and philosopher, Rick Turner, was assassinated in his Durban home. Both men offered South Africans – black and white – transformative new ways of thinking about and framing themselves and society. Their ideas were such a threat that authorities at the time tried to wipe both men off the face of the earth. Marianne Thamm* revisits Turner’s legacy and what it might offer contemporary South Africa. 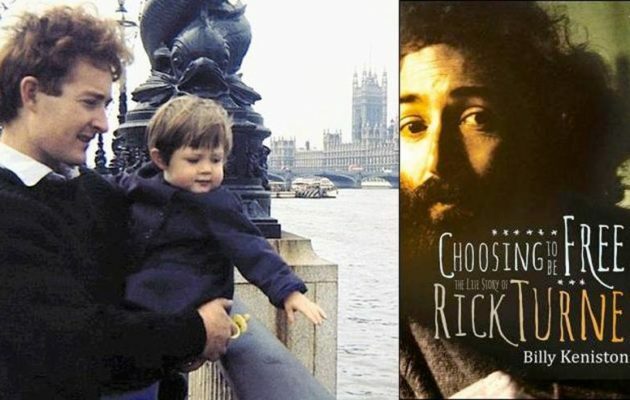 DURBAN, 10 January 2018: Late last year American scholar, historian and author, Billy Keniston, published “Choosing to be Free – The Life Story of Rick Turner” (Jacana) 35 years after this charismatic and influential thinker was assassinated on 8 January 1978 in his Durban home by unknown killers. Turner was just 36 and died in the arms of his 13-year-old daughter Jann, today a well-known novelist and film-director. No one has ever been held responsible for the murder. Reading Keniston’s biography – which consists of a series of interviews with friends, fellow academics, former students and family members threaded through the unusual story of Turner’s life, beliefs and the germination of his thoughts and ideas – one is immediately struck by how bereft contemporary political discussion is of committed, independent, bold and excitingly original thinkers such as Steve Biko and Rick Turner. One also realizes just how much philosophy and philosophical thinking is absent from the propaganda, policy, ideology, rhetoric, tweeting and song and dance that passes for public political discourse. Compared to Steve Biko and Rick Turner, today’s headline sluts who offer choice click-bait to an addicted media, sound like cheap squeaky toys accidentally squashed underfoot in the dark. Biko and Turner found themselves in a repressive South Africa, cut off from the rest of the world, in the intellectual, cultural, spiritual and political desert of the 1970s. It was in these barren and brittle circumstances that the two men dreamed of a world that could be different. But first the old order and all that propped it up – ways of seeing, thinking and being – had to be dismantled. Where political ideologies sought to shape the exterior physical landscape, Biko and Turner understood that people first needed to turn inwards and perform a sort of deep, psychic root canal on themselves to be truly liberated. Turner held that people could learn new values by living them. Where Biko was the founder of Black Consciousness Movement, it could be argued that Turner hoped to spark a renewed “White Consciousness” or “Human Consciousness” that would help to dismantle notions of `race´, class and identity. “We are born into a society, and we adopt its behaviours and values; we come to be the person that makes sense within that context. But at the same time, we are not doomed to accept the world-view we developed through our upbringing. We have the capacity to decide who we are, what values we believe and the structure of relationships that we want to be part of…” Turner wrote. While some may argue today that the ideas and thoughts of Biko and Turner remain marginal, and in Turner’s case are ‘Utopian’, there is more than enough reason to revisit his arguments. Particularly for those South Africans who are interested in and committed to exploring the shifting dynamics of identity and `race´. “Today, in the severely compromised political climate of post-Apartheid South Africa, the need for the kind of idealist vision that Rick Turner lived and died for is just as urgent as it was during his lifetime,” writes his biographer. Particularly Turner warned and understood that democracy would only be possible as a result of economic equality – a term that today has led to the formation of a new political party which trawled around 1 million votes in the last election. Political power, Turner believed, had little substance without power over the economy. Richard Turner was born in Cape Town in 1941 to parents, Jane and Owen Turner, who had immigrated to South Africa from England. His father had been a soldier in the British Army in the Anglo-Boer War and his mother was from working-class stock from London’s East End. 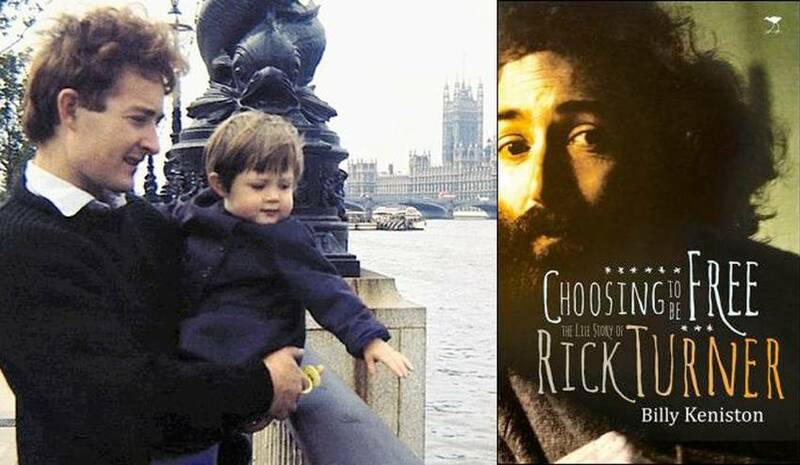 Rick’s father, an alcoholic, died when he was 13 and it was his mother – who was “rarely sentimental” and who offered him enormous independence – who helped shape his early life experiences. In 1959 Turner enrolled at the University of Cape Town (UCT) for an engineering degree but switched later and graduated with an honours’ degree in philosophy. It was at UCT that that he developed his political conscience and joined the National Union of South African Students (NUSAS) a “liberal non-racial” student-organisation. He also taught adult-literacy in the townships in his spare time. But Turner’s real coming of age occurred not in Cape Town but in Paris, where he earned a doctorate at the Sorbonne in 1966 on the political philosophy of Jean Paul Sartre. His decision to enroll at a French university rather than an English one – which would have been the obvious choice of most of his white, English-speaking contemporaries – “was probably the single most influential decision of his lifetime,” writes Keniston. That Turner learned to speak French in his 20s and wrote his doctorate in that language at one of the world’s foremost universities is in itself also remarkable accomplishment. Turner spent the early sixties in Paris with his wife Barbara Hubbard (and their young daughter Jann) and returned to Cape Town in 1966, at the age of 25. In 1968 students at the Sorbonne took the streets in an uprising that provided a direct challenge by a post-war generation to the political order of the time and almost forced out the then-president Charles de Gaulle. The European uprising inspired similar revolts in the rest of Europe and the US. Back in apartheid-South Africa the event hardly made it to the news. But ripples of dissent had washed across the continent. At UCT students staged a nine-day sit-in protest when a black anthropologist, Archie Mafeje, had been appointed to the department but the government pressured the university to reverse the decision. At the time UCT was closed to `non-white´ students. Turner was a frequent visitor and contributed to mass meetings at the sit-in. “While many whites still attempted to be reasonable and make respectful demands of the government, at least the possibility of more radical thought and action was once again visible,” Keniston writes of the sit-in. In 1969, after his marriage to Barbara had collapsed, Turner moved to Grahamstown where he found a job in the politics department at Rhodes. These were crucial years for student-politics when Biko, a medical student at the University of Natal [`non-white´ section], began to call for “a fundamental shift in the relations between white liberals and blacks”. In 1969, during the initial phase of the Black Consciousness Movement, a group of black students [including Steve Biko and Barney Pityana] split off from NUSAS and formed the South African Students’ Organisation (SASO). Turner immediately recognised Black Consciousness not as a threat but as an invitation. “Black Consciousness invited whites to reconfigure themselves as neither innocents nor as saviours, as neither entitled to their present status nor excluded from human interactions with the black majority of South Africa,” writes Keniston. Turner saw white people as being trapped within a social structure – which was of their own making – that persistently and severely constrained the capacity of human beings to have any kind of genuine interaction with each other. In 1970 Turner took up a position at the University of Natal. By then the security-police of the apartheid-regime had already been alerted to his activities and he was being spied on regularly. That year Turner married Fozia Fisher according to Muslim rites, which were not recognised in apartheid-South Africa at the time. The couple – because he was white and she `non-white´ – risked punishment and arrest. What is so appealing about Turner and this thinking is that it is impossible to stereotype or categorize where he was situated on “the left”. Turner was never a member of any liberation organisation – the African National Congress (ANC), the Communist Party or any union or political party or religious or civil-rights’ movement of any kind. “His vision for transformation in South Africa was independent and radical in away that the vision of the ‘stereotypical revolutionary’ never can be,” writes Keniston. Andrew Colman, who met Turner in the student movement and who is now professor of psychology at Leicester University, describes Turner as “the opposite of a demagogue” and says he was “ecumenical in his political views”. Turner, if one needed to categorize his political thinking, could be termed a libertarian, humanistic Marxist with liberal tendencies. “He was very radical, but not a communist. Like many of us, he was very anti-state, particularly anti-Soviet,” said Colman. Turner had radical ideas on education and labour and connected with and consulted with a wide spectrum of organisations. In 1972 Turner penned Eye of the Needle, a short book that has become a classic and which expounded his idea of the “necessity of Utopian thinking”. It was a book that profoundly influenced a generation of young white intellectuals, including Max Du Preez. In 1973 Turner, along with the entire NUSAS leadership, were banned for “furthering the aims of Communism”. His movements were severely restricted; he was unable to connect with friends, colleagues and even his family. He became, in essence, a “non-person”. It was also a crime to quote him in any newspapers or to possess a copy of his book. Rick Turner was shot dead through a bedroom-window of his Dalton Road home on 8 January 1978, just four months after Steve Biko’s death in detention on 12 September 1977. Jann and her sister Kim were visiting their father at the time and he had gone to investigate a noise he had heard outside. There is much food for thought, much to argue with, mull over, consider and reconsider in Keniston’s book. There is the inspiration to imagine a society that could be different from the one we live in today. Whether it is realistic or probable is not what counts; it is the mere fact that Turner was capable of imagining and proposing something different. We’ll give Turner the last word. *Marianne Thamm: “… What Rick Turner still has to offer free South Africa”, in: DAILY MAVERICK, 10.01.2018 (edited for this posting by Ben Khumalo-Seegelken).